Adi Henya was looking forward to her three-year-old daughter attending day camp this summer. But the Toronto mother-of-two said she's among thousands of parents worried that new child-care legislation will mean their children will miss out on camp this summer. The new laws, which came into effect August 2015, no longer allow camps to accept children under the age of four unless they hold a daycare licence. The changes impact 43 day camps in Ontario. "Everyone is scrambling," Henya told CTVNews.ca "I think everyone is concerned that they're going to have nothing to do with their children this summer." Henya had already put a deposit on a day camp spot for her daughter when she found out about changes through a parenting website. She contacted the camp's director, who informed her that she was confident the camp would be able to secure a daycare licence in time. But just to be safe, Henya also registered her daughter at a Toronto daycare that runs a camp program. "Even if she was home, I could never compete with the fun and stimulation and socialization and all the amazing things that come along with a camp," she said. The province introduced the Child Care and Early Years Act in 2014 to provide more safeguards for children in daycare and in camps. Ministry of Education spokesperson Gary Wheeler said the new legislation responds to recommendations from a 2013 ombudsman report to restrict circumstances in which camps could operate without a licence. "Younger children are a more vulnerable population and we want to do everything we can to keep all kids safe," Wheeler said in a statement. "Requiring a child care licence for camps in Ontario serving children under four years of age places an emphasis on standards and protections." 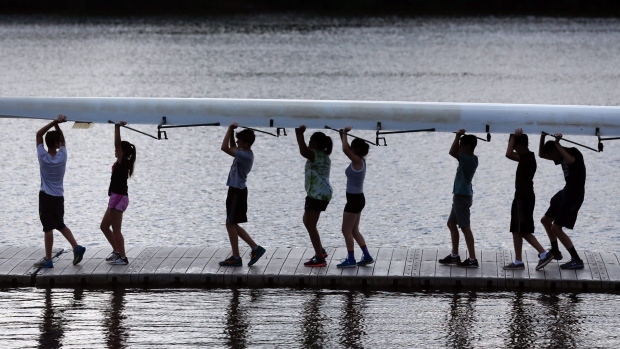 The Ontario Camps Association says it's in talks with provincial officials and hopes to reach a resolution before the camp season. "It's thousands and thousands of kids that won't have anywhere to go this summer," OCA executive director Heather Heagle said. "There aren't enough daycares spots for the thousands of kids that would be affected by this." Heagle said the new regulations would mean that some siblings won't be able to go to camp together. Since children have to be four years old before starting camp, youngsters who are born later in the year and starting kindergarten in September wouldn't be eligible to attend camp. "This is an enrichment program that provides so much scope for the child to learn and get prepared for junior kindergarten," Heagle said. "So we feel it's really an important experience for any child to follow their siblings and go to camp." The OCA, meanwhile, has launched a social media campaign to raise awareness of the changes. The Ministry of Education wouldn’t confirm if an exemption for day camps could be implemented in time for the start of summer day camp programs. Wheeler said provincial officials engaged with the "recreation sector," including the Boys and Girls Club and the YMCA, in developing the Child Care and Early Years Act. He also noted that public hearings about the new legislation were held in the fall of 2014 and a public awareness campaign was later launched to inform parents of the new rules. Wheeler said the ministry hosted a February 2015 meeting about the changes that included the OCA. Kevin Gandy, owner and director of Adventure Valley, said the changes mean some of the campers who attended the Thornhill, Ont. day camp last year will not be able to attend this year. He some parents who are sending two of their kids to camp will now have to make alternate arrangements for the third. "It's not ideal," he said. Gandy looked into obtaining a daycare licence, but he said it would be difficult to find an Early Childhood Educator with at least two years to work with the camp. "It's hard to find someone who's going to want a two-month job who has those qualifications," he said. Gandy said the Adventure Valley will run one-hour technical programs, for a maximum of two hours, for children under four this summer. But he noted that the children registered in these programs won't be bussed to and from the camp or receive a lunch. "It's not really going to accommodate a big chunk of our families who rely on full day (care) or bus transportation," he said. "I'm guessing you have about 10,000 kids in Ontario who would have gone to camp and now can't." Meanwhile, Henya said she understand the reasoning behind the new rules, but she's hoping that some sort of middle ground can be reached so her daughter can "make the most" of her summer. "We have such a short summer, and I want her to do something really fun and be outside and be with friends."